So make sure to come back to this spot between 9 PM and 10 PM ET for our Seal Team recap. While you wait for our recap make sure to check out all our television news, spoilers, photos, recaps and more, right here! 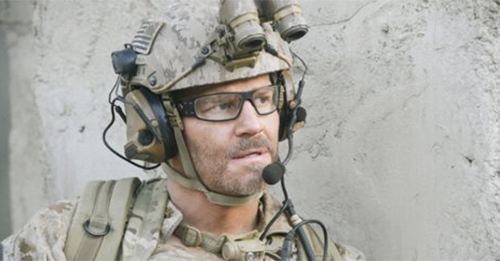 Tonight’s SEAL Team recap begins now – Refresh Page often to get the most current updates! Drones are highly monitored. Everyone knows that they could be dangerous in the wrong hands and so at no point in time are they allowed to go ungoverned or unseen. But tonight a drone was felled without any sort of warning sign and the people that were supposed to be flying remotely hadn’t known what went wrong. They were stumped and normally that would mean they’d also be in hot water for losing a drone on a top-secret flight mission, however, these aren’t normal times and Jason’s team was being brought on because there was more at play here. The drone went down in Al-Qa’im, Iraq! An era is known to be dominated by ISIS and was considered too dangerous for the thousands of soldiers already in Iraq to even attempt to enter. But the drone was monitoring something so top secret that Jason’s team weren’t told about its mission and weren’t allowed to view it once the experts got close enough to grab it. The team was simply bringing the experts to their toy and they weren’t allowed to question why, if, how, or when yet, fortunately, they were going to get some cover when they went in. The US and the Iraqi military had agreed to a two-phase offensive and the first phase was going to be an all-out bombing. They were going to hit the area so hard that ISIS were going to run back into their caves to protect themselves and so that was going to give the team some cover. They were going to go around the action and attempt to sneak in without being noticed, but the one thing they had been told about the drone was that it could have been compromised. The drone could have been felled by a new malware out there and so experts weren’t sure what they were going to find. But they had been specifically chosen because of their expertise and again the team had been told the drone wasn’t their concern. Their concern was the experts and so later using the massive shell fight around them, they got those experts back to their drone. The drone had taken quite a hit and the experts claimed they would need at least twenty minutes through the team didn’t have that and to make things worse they had also lost track of one of their own. Spenser had taken a nasty fall when no one was looking and had found himself surrounded by armed members of ISIS. ISIS hadn’t known they were on top of Spenser’s location because not only did he fall, but he fell into a hole. That hole gave Spenser coverage and time if not a lot of it. But his team eventually figured out where he was and that they needed to get him out of there before the enemy realized they could imprison an American soldier. Just one problem. The team had gotten orders to extract what they needed and then get out because the information the drone carried was deemed more important than a soldier behind enemy lines. And that wasn’t something Jason could agree to. Jason tried to reason with General Parsons. He told him that his team was in the best position to reach Spenser and that they couldn’t wait for the Iraqis to come to his aid because Jason firmly believed it would take them more than a day to reach a block towards Spenser’s location. But the General was adamant. He said the first concern was their intel from that drone and so Jason decided to ignore him. He pushed the drone experts into moving faster than they were even if his idea of pushing was considered dangerous and he went to get to Spenser. Spenser for his part had also managed to keep them safe. He would send out messages when he saw the enemy making moves to stop his guys and that allowed them to navigate the safest course towards reaching him. But they never would have gotten close to Clay if Perry hadn’t provided oversight and so Jason was glad to have his friend back out in the field. They had talked about it and he hadn’t been sure about Perry coming back or even being ready to come back and so he took back those very same words once they rescued Spenser. Spenser was a little banged up and he won’t be fit to deploy anytime soon. But he realized now that he wanted to spend the rest of his life with his girlfriend and so he asked her to marry him with a piece of string he fashioned into a ring. Now she could say “yes” or she could say “no”, but if she did say yes when her life would eventually become very much like Alana’s and Alans isn’t even sure if she wants that life. She had accidentally told her son that she wouldn’t consider getting back together with Jason unless he quit his job. And while she took those words back, the fact she said them meant she and Jason still weren’t on the same page.